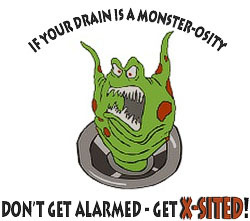 Roots are a major cause of blockages in both sanitary sewers and stormwater drains. There are many reasons for root ingress caused by faulty workmanship and/or materials and just plain old worn out drains from years and years of use. When the roots have been identified by CCTV we can remove them with a high pressure water cutter and this will prolong the life of your drain. This can also buy you time, so you can make a descision at your leisure in regards to future maintenance and/or replacement.